Who is an arborist? Why should I hire an arborist? An arborist is a professional who has undergone extensive training and has years of experience in the art and science of caring for trees. Also called tree surgeons, arborists are tasked with the responsibility of making sure trees are healthy and safe. They have the knowledge and expertise required to identify a wide range of tree species, as well as tree defects and signs of disease. So why hire an arborist? 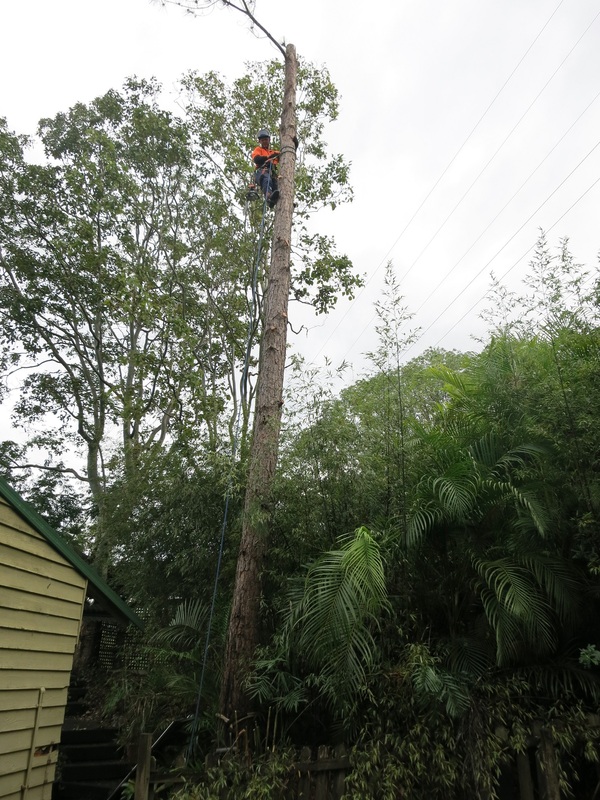 A Gold Coast arborist can offer some much needed insight and assistance with keeping the people who live and work on your property safe. Working with a qualified and experienced tree expert can ensure that your beloved trees are healthy, strong and safe from various illnesses and weather conditions. Not many people realise that trees, just like all other organisms, face a wide range of growth challenges in the natural environment. Trees are susceptible to many external factors that can deter growth and quality. This is especially true of fruit trees. First of all, there is so much information about different tree species available out there today. Ordinary people are not likely to be familiar with a vast amount of this information but arborists are extremely knowledgeable on issues related to trees and tree care. If you have questions or concerns about your precious trees that are yet to be answered, an arborist can come in pretty handy. They will most certainly have or find the answers to your questions. One of the most important things about working with any industry professional is that they are insured. Arborists are no exception on this matter. Given the very dangerous activities undertaken by any Gold Coast arborist, they must have insurance to work on your property. This may not be true of the average untrained guy with a chainsaw calling himself a tree lopper. Insurance is extremely fundamental in order to safeguard yourself, your family, those working on your property, and your property itself. This is of critical importance for business owners, commercial property owners and body corporates, to protect them from any claims that may results from accidents that may occur on the property due to tree work. It is always best to be safe than sorry, by hiring a professional tree arborist. Another big reason you should hire an arborist is their equipment. A professional arborist has all of the necessary equipment to undertake tree pruning, tree removal, and any other tree surgery. The arborist knows how to use each and every tool properly in order to ensure no long-term damage is done to a pruned tree and no other significant impact is made on surrounding trees. Time is very crucial especially in the times we live in. Tree care is not a hasty activity that can be done properly within a few minutes or hours. Most of these activities take time and professional dedication. Ailing trees, specifically, need more time and attention in order to ensure the tree heals and the disease does not spread. Finally, hiring a Gold Coast Arborist saves you money. You may naturally assume that hiring a tree professional will cost you a lot. But realistically, the value of service you get actually saves you some much needed cash. The long-term cost of employing an unqualified tree lopper to do inferior tree care and treatment far outweighs the short-term cost of an experienced arborist. You can be certain that an arborist will know how to care for your trees properly. Now, think of the enormous return on investment after your trees are fully grown and healthy. Aussie Tree Care is a local, family owned Gold Coast arborist business. Call us to see how we can help you on 1300873300 or send us a message through our Contact Us page. We care about your trees. For more help in hiring a Gold Coast Arborist, check out the advice of the Gold Coast City Council.